The aims of the ‘Communicating across Borders’ workshop are to provide participants, in the form of activities, with opportunities to explore and develop a deeper appreciation of culture (in general terms) and intercultural differences in particular, and take-away practical principles that can be applied during communication with people from different cultures. 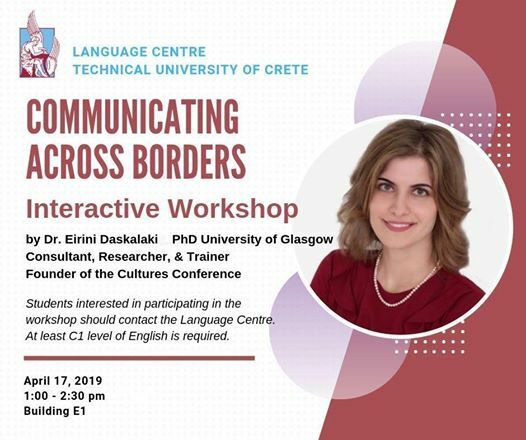 Dr Eirini Daskalaki is a consultant, researcher and trainer who specialises in providing advice, delivering training workshops, lecturing, conducting research and designing academic curriculums. 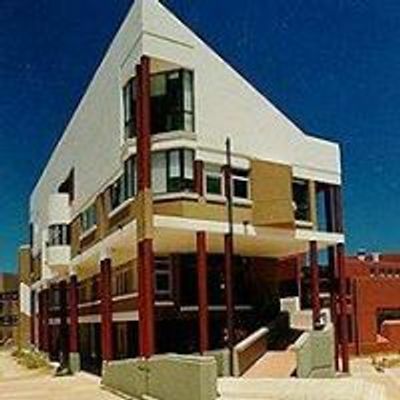 She works closely with academic institutions, further education institutions, business schools and NGOs. Her work is focused on areas related to diversity and inclusion, intercultural communication and cross-cultural management. She is a postdoctoral research fellow at CIM, Cyprus Institute of Marketing, the Cyprus Business School. She is a board member and research coordinator at Young SIETAR, the Young Society for Intercultural Education, Training and Research. 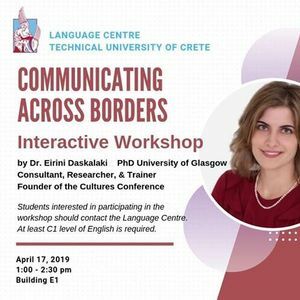 She holds a PhD from the University of Glasgow, an MA from the University of Central Lancashire and a BA(Hons) from the National and Kapodistrian University of Athens.